Shuffle up the cards and get ready to shuffle through your head! Quick! What's a movie that starts with R? A fruit that starts with M? Abook character... P?! Put the Letter Cards in one stack, the Category Cards in another, and fast - flip over both top cards! A thousand different possible category and letter combinations keep you on your toes as everybody plays at the same time, trying to make a speedy recall and shout a good response. There might be lots of correct answers, but you've got to be first! Collect category cards to keep score, play with two or more! 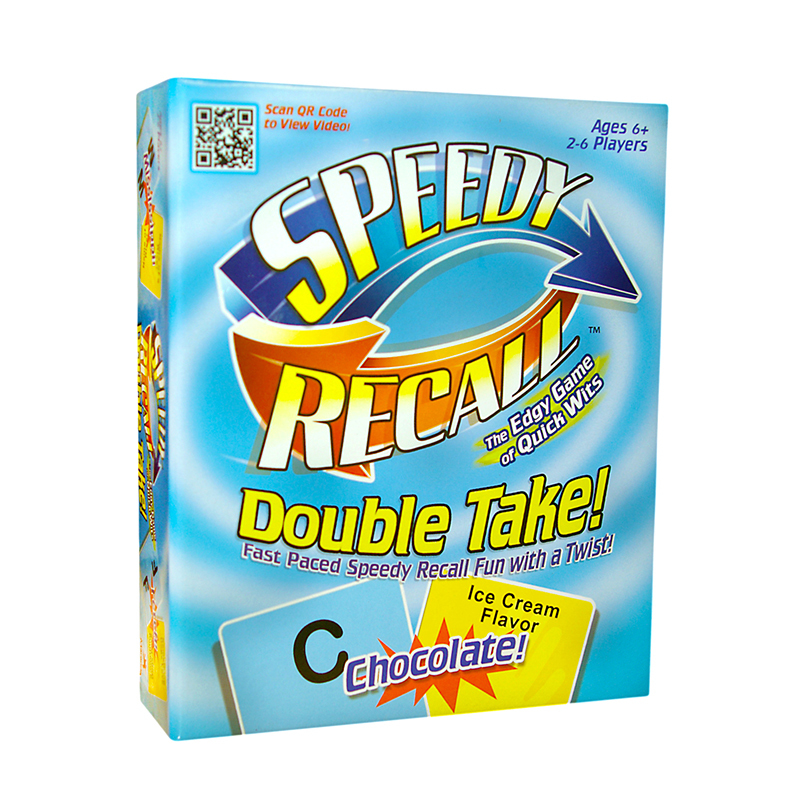 Speedy Recall goes anywhere and promises quick, memorable fun!